This sounds like it's going to be awesome! 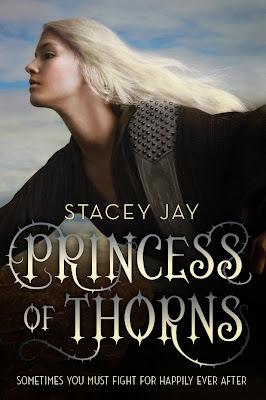 A lost princess, a game of thrones and a magical, high fantasy land - all things guaranteed to make me love a book. 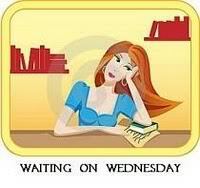 Be sure to stop back by each day to see how 2014 was for Janelle, Amber, and Kayla; enter the giveaway on Wednesday; and maybe see a special guest post from an up-and-coming author. I know this isn't Wednesday, but I figured that I would do a quickie giveaway for our loyal readers. I have read approximately 105 books in 2014, so I'm going to let one lucky winner choose a book from THIS LIST on Goodreads. I haven't reviewed everything that I've read this year, so there's a bit to choose from. #1 New York Times Bestseller in hardcover. 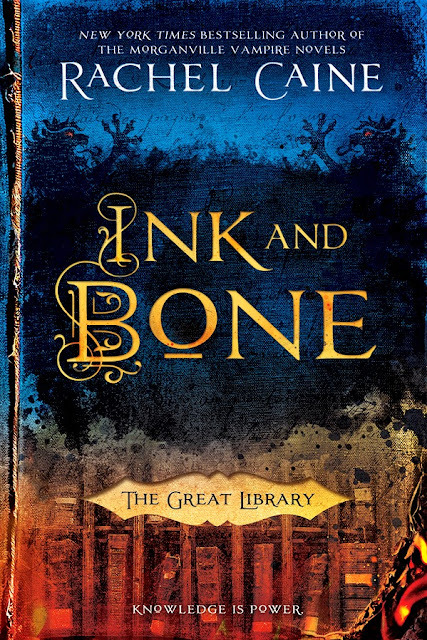 You can read Kayla's review of the book HERE. An unnamed narrator visits his childhood home and is flooded with magical memories his adult mind can no longer rationalize. Like Mary Poppins or Nanny McPhee, the Hempstock women take the narrator under their wing and open his mind to mysterious possibilities. Mrs. Hempstock reads minds. Old Mrs. Hempstock vanquishes evil forces. Eleven-year-old Lettie Hempstock believes the pond in her farm’s backyard is an ocean. I kind of failed miserably at this in 2014. In 2013, I read 303 books, but in 2014 I have only read 273 so far. In 2015, I will try for only one more than in 2014. Normally, I'm a fantasy reader with a little bit of horror and science fiction thrown in. This year I have found some series I loved in the other genres, and I really need to branch out more. I set a goal to read one classic, modern classic or award winning book a month this year. Although they weren't the original books, I tried to read, and I had a few classics that I put down, I did manage to read 12 classics or awards winners this year. I'll try for one a month again next year and hope I make it. 2014 was a busy year for me. I graduated college and became the first person in my immediate family to obtain a Bachelor’s Degree. I sent my 13-year-old to Europe for three weeks. I had back surgery, then starting working from home full-time. 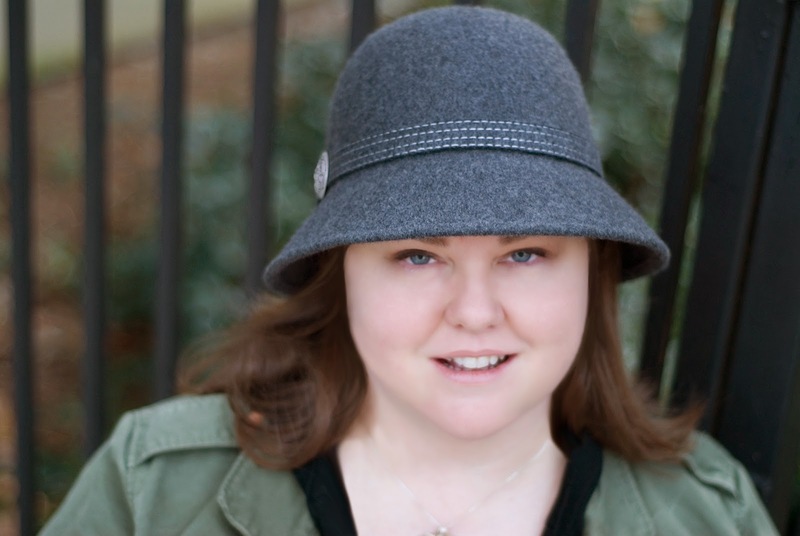 I attended a writing conference and pitched agents my YA contemporary novel. I published two poems, one in an anthology that now sits proudly on my bookshelf, swished in between books by my favorite authors. I started my website, discovered Tumblr, and uploaded YouTube videos (although I have to admit I watch more than I make). I started back to school, working my MFA in Writing for Children and Young Adults. I also joined Bibliophilia, Please because reading books has always been a constant part in my life. This year I read an eclectic mix of mostly young adult books. Grasshopper Jungle (I thought it was about THORNY grasshoppers), Code Name Verity, and The Truth about Alice all came as recommendations from my writing conference. My YA novel contains a gay character so I read Beautiful Music for Ugly Children, Will Grayson, Will Grayson, and Two Boys Kissing to learn more about gay and transgender characters. I read award finalists and winners like The Surrender Tree, Speak, and Brown Girl Dreaming. I even read non-fiction like The Opposite of Loneliness and The Port Chicago 50. For school I read Esperanza Rising, The Raft, and The Ocean at the End of the Lane. I think The Truth About Alice and Speak were two of my favorites because they were about such emotional topics. The Truth About Alice is a must read for my 13-year-old son before he's allowed on any date (including a dance), and I already forced him to sit through the movie Speak (starring a young Kristen Stewart and based on the book). I think those were the two stories that had the most impact on me personally and really made me stop and think about what goes on in life. I am very excited to see what 2015 brings. Reading and writing are such a large part of my life and I am so honored to share my thoughts and feelings on those topics here with you. I'm not sure how I feel about parallel worlds, but this seems very interesting besides that. It also reminds me that I need to read The Night Circus. You can read Kayla's review of Grave Mercy, the first book in His Fair Assassins trilogy, HERE. Amber: So, my first thoughts about Mortal Heart were that I should have re-read both Grave Mercy and Dark Triumph. I remembered little to nothing about the story so far and was pretty lost in the first couple of chapters. But once Annith was away from the convent, I started enjoying it. My favorite parts by far involved the hellequin (and Balthazaar) and the followers of Arduinna. I really hope that LaFevers writes a spinoff with the other followers of the Nine. Kayla: When I started reading it, I was worried about how LaFevers would tie it in with the history of Brittany. And, like most other people, I wondered how in the world I would like Annith as much as I liked Ismae. As for the other two books, I had reread Grave Mercy and read Dark Triumph for the first time earlier this year. Amber: How did you end up feeling about Annith? I really liked her. She truly cared about her sisters, and she had a lot of compassion. Both of these tempered her almost perfectness. I also LOVED the love interest. If I ever swooned over anything, it would definitely be over Balthazaar. You can read Kayla's review HERE. Stolen from her home, and being groomed for auction, Aya is desperate to escape her fate and return to her family, but her only allies are a loyal wolf she’s raised from a pup and a strange mute boy who may be her best hope for freedom...if she can truly trust him. The Glass Arrow: a haunting, yet hopeful, new novel from Kristen Simmons, the author of the popular Article 5 trilogy. Though Kristen Simmons debuted around the same time that I started blogging, I never read her books. (I tried to read as many 2012 debuts as possible.) I've always meant to read the Article 5 trilogy and would get distracted, but there was no way I could pass up reading The Glass Arrow. I haven't had a lot of luck with female suppression-themed dystopians since The Handmaid's Tale, but I'm so fascinated by that sub-genre that The Glass Arrow went straight to the front of the TBR as soon as I got approved for a galley. The mad Shōgun Yoritomo has been assassinated by the Stormdancer Yukiko, and the threat of civil war looms over the Shima Imperium. The toxic blood lotus flower continues to ravage the land, the deadlands splitting wider by the day. The machine-worshippers of the Lotus Guild conspire to renew the nation’s broken dynasty and crush the growing rebellion simultaneously - by endorsing a new Shōgun who desires nothing more than to see Yukiko dead. You can read my review of the first book, Stormdancer HERE. I put off reading Kinslayer until this year because, to me, there is nothing worse than reading the middle book of a trilogy and being stuck with a huge cliffhanger for a year. So if there was a cliffhanger (and I think there was), I didn't really notice because I only had to wait like three days for Endsinger. For generations, the kingdom of Arten has stood alone against the ancient dark mage Mercer, a man no longer bound by time. But when King Wern is kidnapped, Queen Arin will risk everything to get him back. 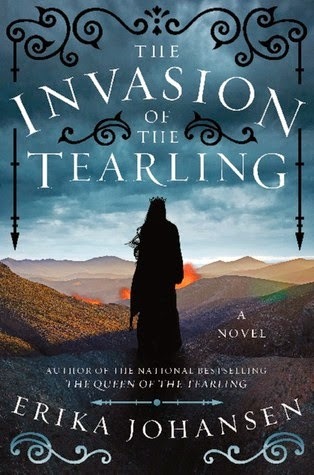 Lynden Trenadin is chosen to join the ranks of the elite Queen's Champions both for her prowess as a warrior and her remarkable resemblance to the queen. She has spent her life battling at Arten's borders, but now she must defend the queen with her life as they journey to their enemy's castle. When the tide of battle goes against them, Lynden unleashes a magical power she didn't know she possessed. Even though she saved hundreds of warriors, Lynden is forced to flee in shame for her use of forbidden magic. Now on the run, Lynden must raise a rebellion to free her country from the tyranny of the enemy she thought she'd destroyed. 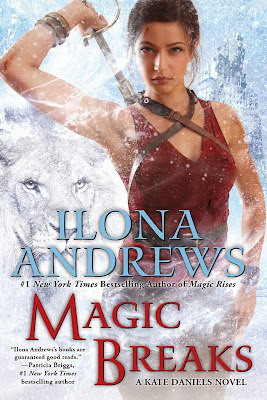 A band of loyalists and an enclave of ancient mages aid her in her efforts, but with a dark mage bent on her destruction, Lynden must discover a way to harness her new magic before it is too late. I decided to read Bringer of Light because the author described it as an epic fantasy with a strong female character. Bringer of Light started out strongly, but lost itself a little along the way. There were several elements I liked, some I disliked, but nothing that I hated or loved. Sarah Maas really stepped up the game in this third installment. 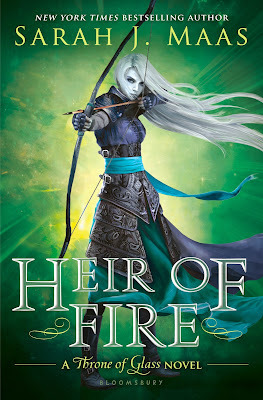 I really liked Throne of Glass, but Heir of Fire completely surpassed my every expectation. There hasn't been an Ilona Andrews book I haven't liked, and the latest Kate Daniels book is no exception. Maritinia is at the far edge of the Empire, a planet with little economic value in the Sire's sphere of influence. The people of Maritinia believe the Empire will not care that they've broken free. But the Empire is built on the belief that if an insignificant planet can revolt, then other, more important planets might follow suit. So the Empire sends an agent to Maritinia with a mission: assassinate and replace one of the conspirators, and do enough to sow discord that when the soldiers do land, any opposition will be quickly crushed. Thus Jakob finds himself immersed in the inner circle of the madman who led the rebellion. A raw recruit with only his political officer—a separate consciousness inserted into his brain—to speak with, Jakob is out of his element as an operative. And while he falls deeper into the conspiracy, he begins to question everything: the despotic admiral in charge of the coup, his feelings for a native woman, and—most troublingly—whether he still agrees with the will of the Sire. I love me some science fiction, and I was really wanting something with a huge galactic empire after reading Golden Son. When I saw the synopsis for Tides of Maritinia, I was so excited by the premise. Who doesn't like galactic rebellions, assassins, and a narrator questioning everything? Unfortunately, it all fell short for me in Tides of Maritinia. Lenora was just a normal teenage girl who never really cared much about her parents’ work as scientists. Everything changed the day they died in a mysterious explosion. Now Lenora is alone with no time to grieve because her own life is being threatened. Whatever her parents were working on there are people willing to kill for it, and they don’t believe that Lenora has no idea what it is. Shot up and facing certain death, Lenora is rescued by a strange seductive man who explains her parents’ top secret research to expose aliens living on Earth. An elixir reveals snake-like aliens disguised as humans are taking over the planet, and Lenora must decide if she can depend upon the stranger who violated her trust. Armed with sarcasm, her parents’ research, and an ally she loathes, Lenora must continue her parents’ work to expose the alien threat and save the Earth before it’s too late. Days before her 18th birthday, Lenora Gates ignores her parents’ wish to meet them after school for an important message. Instead, she hangs out with her friend Rachel, who just discovered she is pregnant. When Lenora returns to Rachel’s house after a movie, Rachel’s mom delivers devastating news. Lenora’s parents died in an accidental explosion. The Wicked + The Divine was everything I wanted in a graphic novel. The art is gorgeous, and the writing has just the right amount of snark for me. 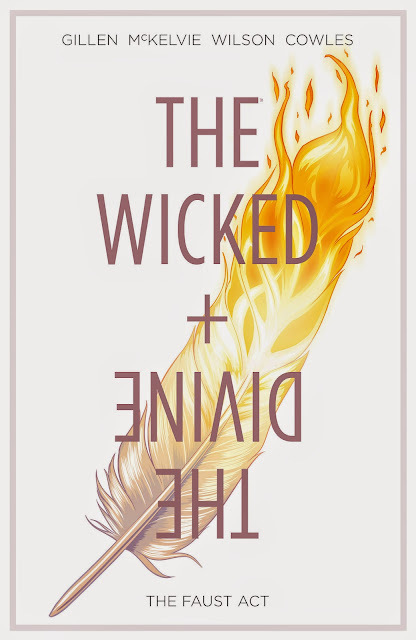 The Wicked + The Divine, Vol. 1: The Faust Act combines the first five issues into one collection. The second arc will begin with issue 6 which will be published on December 17, 2014. I've had a really good run of fantasy lately, and Three Parts Dead is no exception. I wasn't really sure if I'd like it at first, because normally necromancy isn't something I enjoy, but the story is less necromancy than the blurb implies. 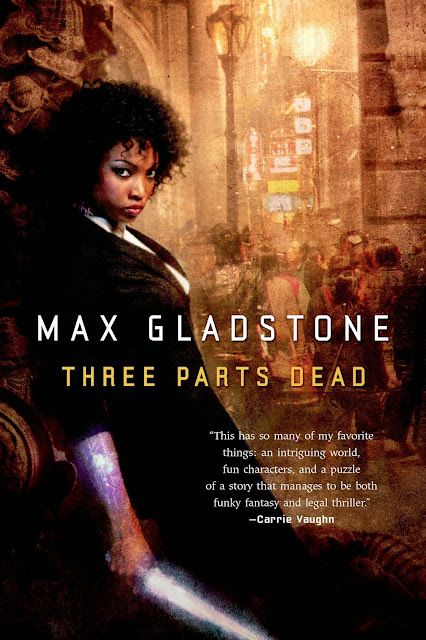 I picked up Three Parts Dead because Patrick Rothfuss wrote a glowing review, and we need more diversity in writing anyway, so I was ecstatic that the main character was a black girl. Meljean Brook is now in my top favorite authors. 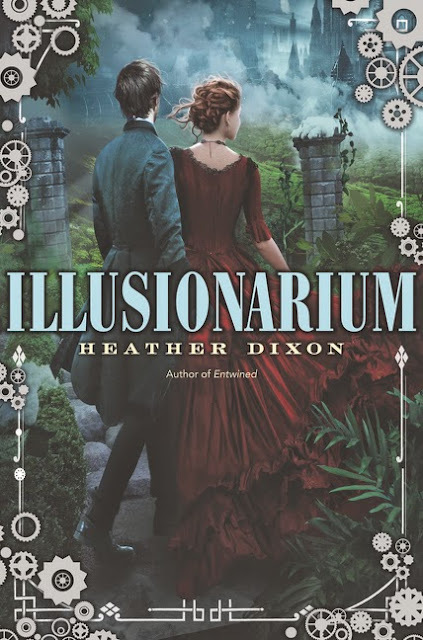 Her Iron Seas series is one of the best steampunk series I have ever read. I am kicking myself for waiting until this year to try out her writing. 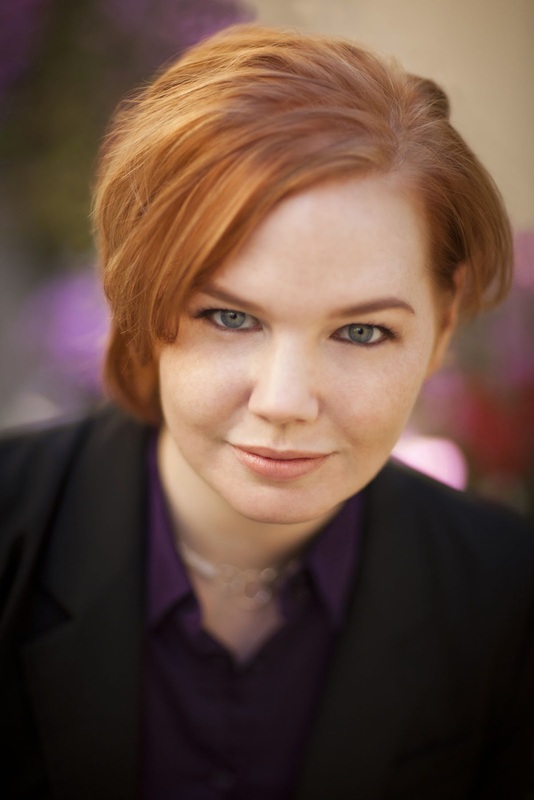 Jenn Bennett is another author I am kicking myself for not reading before this year. Let's just go ahead and assume that if an author had a book out before this year, I should have read it way before this year. Bennett's Arcadia Bell series is one of my favorite urban fantasy/paranormal romance series. 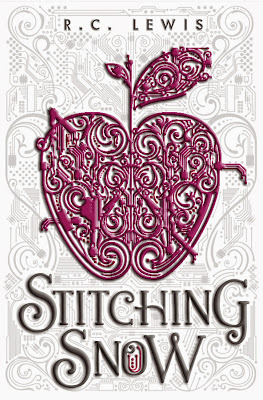 You can read my review of Binding the Shadows (Arcadia Bell #3) HERE. Perfect for fans of Philippa Gregory, Alison Weir, and Showtime’s The Tudors, The Boleyn King is the first book in an enthralling trilogy that dares to imagine: What if Anne Boleyn had actually given Henry VIII a son who grew up to be king? Just seventeen years old, Henry IX, known as William, is a king bound by the restraints of the regency yet anxious to prove himself. 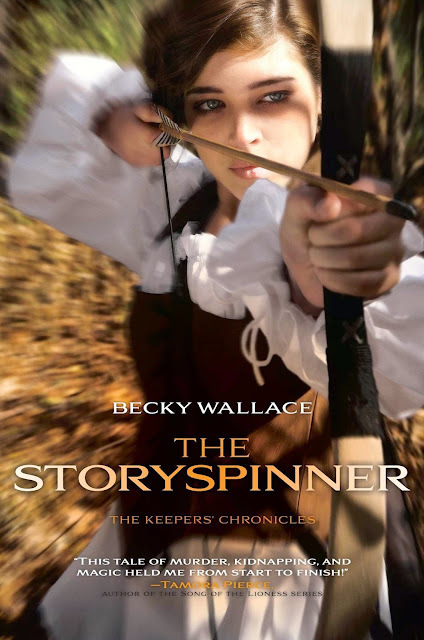 With the French threatening battle and the Catholics sowing the seeds of rebellion at home, William trusts only three people: his older sister Elizabeth; his best friend and loyal counselor, Dominic; and Minuette, a young orphan raised as a royal ward by William’s mother, Anne Boleyn. Against a tide of secrets, betrayal, and murder, William finds himself fighting for the very soul of his kingdom. Then, when he and Dominic both fall in love with Minuette, romantic obsession looms over a new generation of Tudors. One among them will pay the price for a king’s desire, as a shocking twist of fate changes England’s fortunes forever. I love alternate history stories and anything dealing with the Tudors, but I had a copy of The Boleyn King languishing at my house for a year and a half before ever reading it. I knew that it would probably be the perfect combination for a really great read, so I have no idea why I never got around to picking it up. However, I got into a really bad reading slump after my house flooded, and this book really brought me out of it. I think I went through all of the emotions while reading Past Encounters. I also alternated between like and dislike of both the main characters, Rhoda and Peter. At the beginning, I really disliked Rhoda, then toward the middle I really disliked Peter, and all throughout I felt really sorry for both of them.